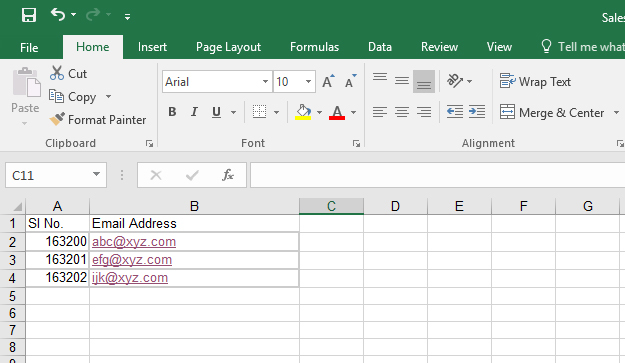 VBA Code To Email Unique Serial Numbers Specified In Cells In Excel To Email Addresses Specified In Cells In The Same Excel. I have an Excel sheet with a list of email IDs and serial numbers . Now I how can I send the serial numbers to respective emails. Can someone please share the VBA code.